Prey 2 hasn't been canceled, but it will be delayed. It's been quite a ride for Prey 2. First we got word that a sequel was actually in the works, and we were happy! Then Bethesda revealed that Tommy, the Sphere and pretty much everything else about the original game was out, and we were kind of sad - but only until we saw the live-action Prey 2 trailer. Happy again! But then a rumor started making the rounds that Bethesda had killed the game, and there was much sadness. But now we're back to happy time, sort of. It turns out that Prey 2 is alive and kicking, but it's not going to be out this year. It seems that the development situation isn't unfolding quite as Bethesda had planned. 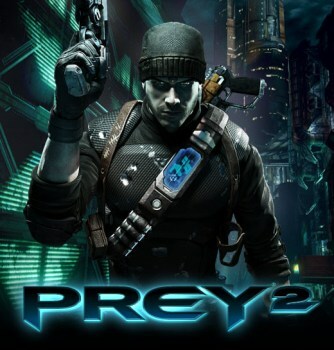 "Development of Prey 2 has not been canceled but the game will not be released in 2012 as planned. The delay is due to the fact that game development has not progressed satisfactorily this past year, and the game does not currently meet our quality standards," the company said in a statement. "Prey 2 has shown great promise and we regret disappointing our fans. We have made a substantial investment in game development to deliver the experience fans want. We are determined only to release the AAA game that fans rightfully expect, and are unwilling to compromise our quality standards to meet a release schedule." A certain amount of that demand for higher quality has to be ascribed to sharp marketing but speaking strictly for myself, I'd rather wait for a game to be done right than get something on schedule come hell or high water and end up with a rushed, unsatisfactory experience. It's been six years since Prey did its thing, after all, so what's one more?